There was a time in the not-too-distant past that I wrote about Zillow, trust, and our industry’s relationship. I have matured in my perspective from thinking that Zillow would be the real estate industry’s friend and ally. That thinking was flawed, and looking back, I was shortsighted. Zillow is driven by Wall Street, not Main Street. Zillow is the largest entity by public company market capitalization in the real estate industry. It is here to stay, play hard, and make money. Spencer Rascoff, CEO of Zillow, was quoted on a 2015 earnings call stating, “We sell ads, not houses. So we are not actually in the transaction, we are in the media business.” Well, not so much anymore. Wall Street can have that impact on a public company. We talked about the impact of “disruptors” at our January 2018 kickoff events in the San Francisco Bay Area and Los Angeles. So far, in my opinion, the disruption is to residential real estate brokerages and not so much to our clients’ experience. I agree that Zillow’s recently announced iBuyer offering will add velocity to the home-selling experience. However, the consequence of changing the velocity of the transaction is asking sellers to deeply discount the price of their homes. In a November 2017 question-and-answer session with an executive from Opendoor, an OfferPad and Zillow competitor, it was clear that the discount to add velocity to a seller’s transaction was a minimum of 9 percent to as high as 18 percent off the home’s fair market value. All of us would buy as much real estate as our individual balance sheets could handle at a 9 percent to 18 percent discount from fair market value. The velocity in the transaction has not been accomplished by changing the demand, mortgage, escrow, title, insurance, or disclosure side of the equation; it has reduced the sellers’ net proceeds from the transactions. 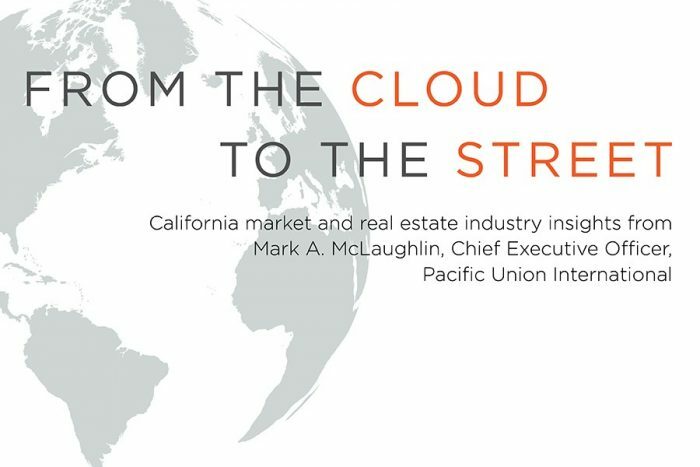 Referencing Brad Inman’s writing last week, while the National Association of Realtors debates its two-dimensional versus new three-dimensional logo, Pacific Union’s client relationship-focused business still succeeds through the noise of the industry. We are tested daily by new business models and will demonstrate our value accordingly. I personally feel compelled to push every corner of the playing field to refine our positioning for disruption, which today is more about our business than the client experience. Zillow is clearly now in our business. The question is how long will we be in its?